Now that the kids are heading back to school, it’s time to get back into our morning routine! I have to confess, I’m not really looking forward to it this year. We’ve had such a laid back, relaxed summer, and the thought of getting up early and getting everyone ready to go is making me exhausted in advance. This year, everyone in my family has a different schedule, with my oldest in middle school, my youngest in elementary school, and my husband working odd hours as a nurse. I’ve never been good at cooking hot breakfasts in the mornings, but that’s where these make ahead breakfast sandwiches come in handy. I can cook a big batch of breakfast sandwiches at the beginning of the week, and everyone can grab one from the fridge or freezer whenever they’re ready to eat. 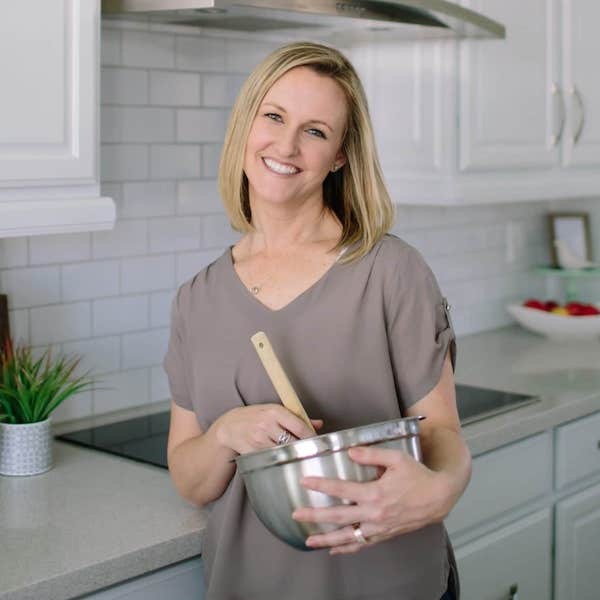 It’s a simple and easy way to make sure everyone gets something delicious for breakfast, even when I don’t feel like cooking. 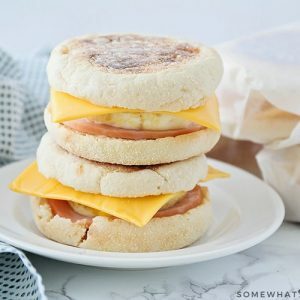 I’ve experimented quite a bit with these make ahead breakfast sandwiches, and I think this combination is my very favorite! Everyone in my family loves them, too. 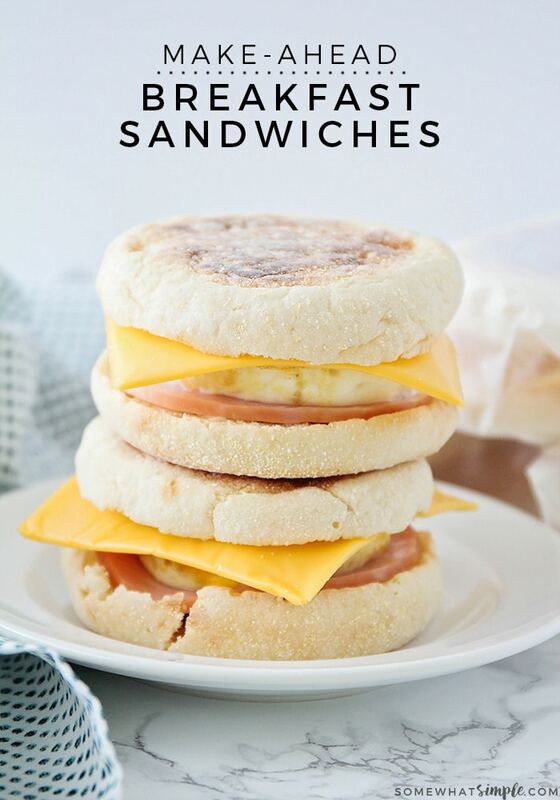 They’re a copycat of a popular fast food breakfast sandwich, but they taste even better because they’re homemade! 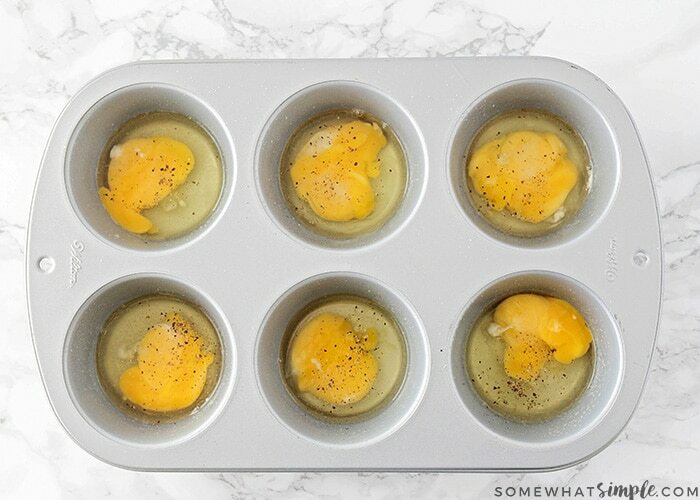 Baking the eggs in a jumbo muffin tin makes it easy to cook them all at once. I’ve found that breaking the yolks before baking helps the eggs cook more evenly. In general, I like a runny yolk, but with these sandwiches I’ve found that if I don’t break the yolks first, the whites don’t cook as evenly, and the bottoms get overcooked before the tops are set. I’m not usually a fan of American cheese, but I love it in these sandwiches! 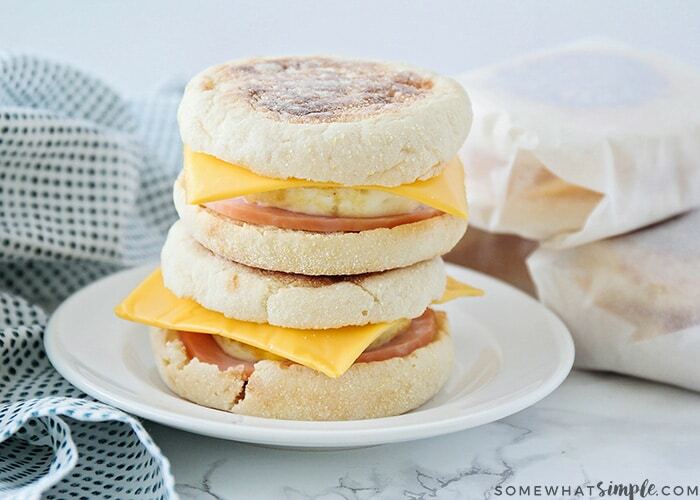 The American cheese and canadian bacon are super yummy together, and give the breakfast sandwiches that classic taste combination. Once all of the sandwiches are assembled, I like to wrap them in parchment paper for storage. The parchment paper helps to protect them from freezer burn, and makes it easy to take sandwiches on the go. 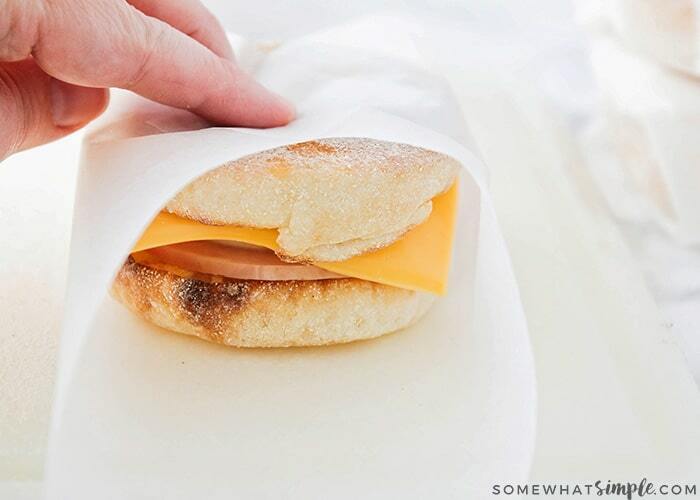 You can store these make ahead breakfast sandwiches in the fridge or freezer until you’re ready to eat, then microwave them until they’re warm. For a refrigerated sandwich, 30 seconds on my microwave works great, or 1 minute for a frozen sandwich. I leave the parchment paper wrapper on while I heat them, and it helps maintain the moisture level, so they are neither dry nor soggy. If you’re not storing them in parchment, I would suggest wrapping them with a paper towel before microwaving, to prevent sogginess. 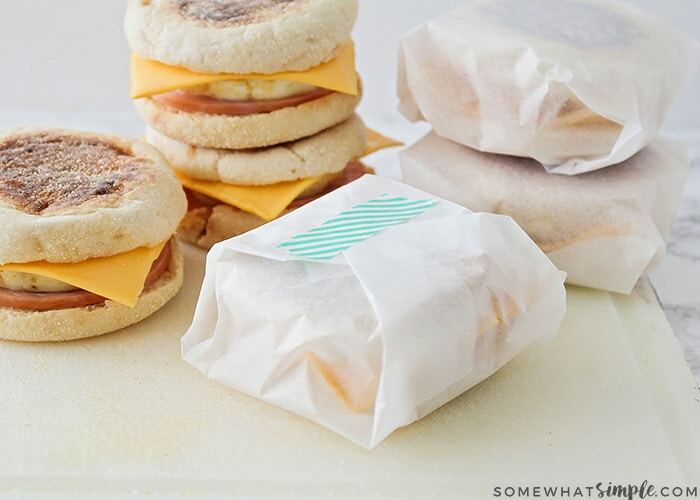 These make ahead breakfast sandwiches are so delicious, and easy to make, too! 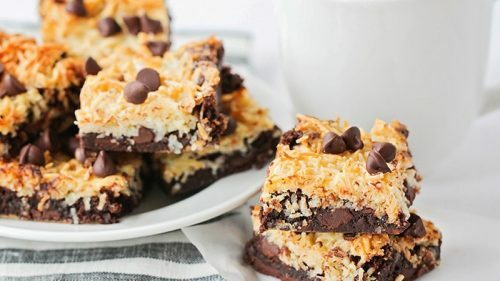 They’re a favorite with both kids and adults. If you’re looking for a simple way to make your morning routine a little easier, then definitely give these a try! Preheat the oven to 350. Spray a jumbo muffin tin (or six individual ramekins) with cooking spray. 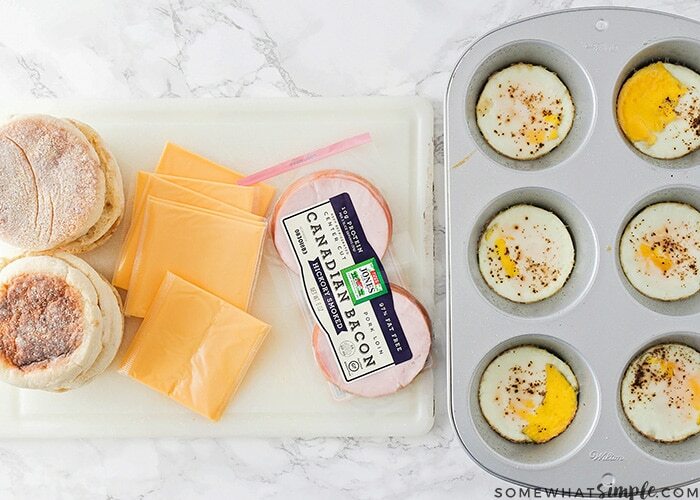 Crack an egg into each well of the muffin tin. 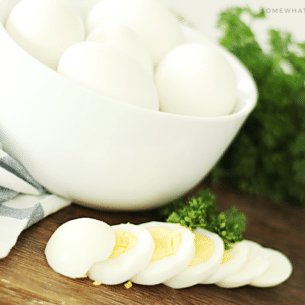 Break the yolk gently with a fork, then sprinkle with salt and pepper. 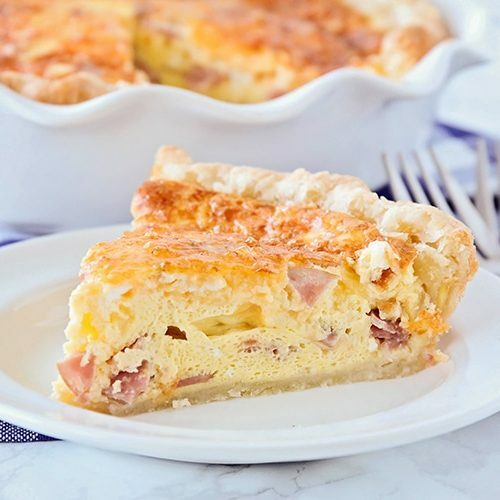 Bake 15-20 minutes, or until the whites are set and the eggs only jiggle slightly when shaken. Remove from oven and let cool slightly. 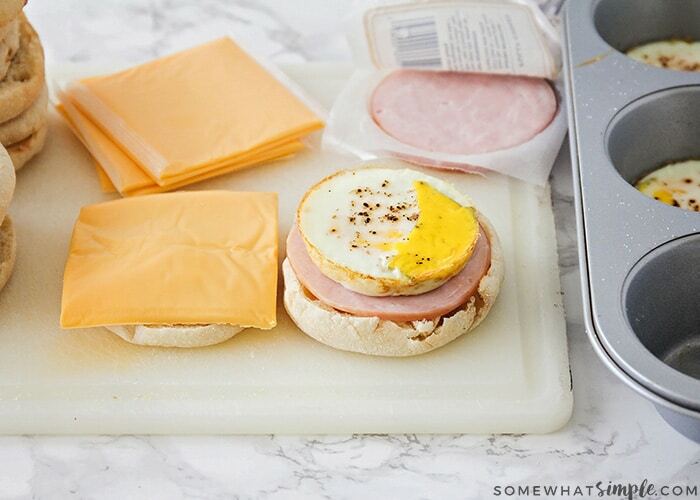 To assemble the sandwiches, layer canadian bacon, egg, and a slice of cheese on an english muffin. Wrap in parchment paper and seal with tape. Refrigerate or freeze until ready to use. When ready to eat, heat in the microwave for 30 seconds for a refrigerated sandwich, or 1 minute for a frozen sandwich. 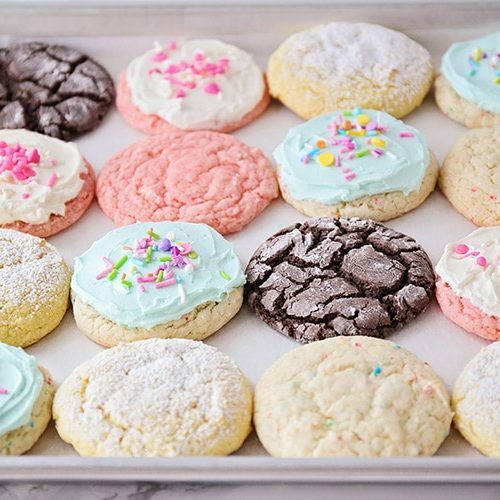 Remove parchment paper and enjoy. Thanks Rachael, I couldn’t agree more! These are awesome. 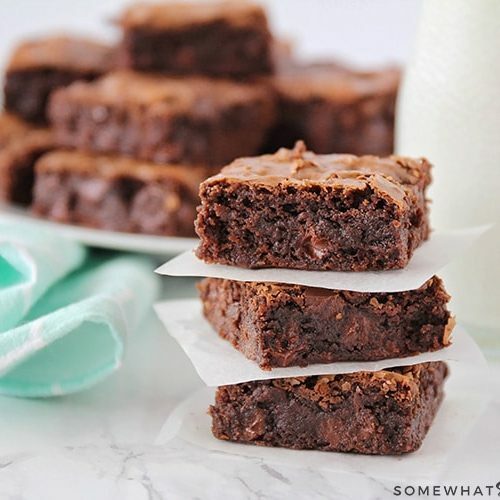 I put a bunch of them in my freezer for on the go breakfasts! I do the same thing! 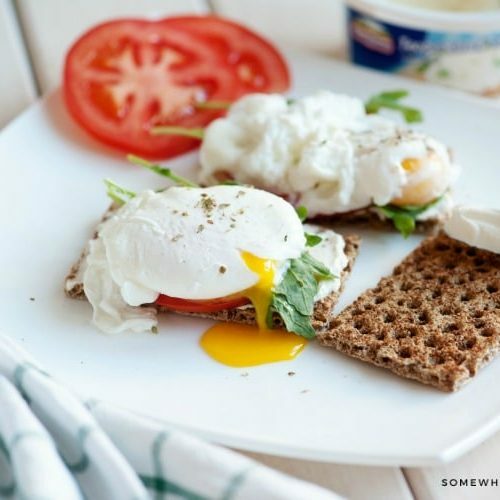 They’re such an easy breakfast option! 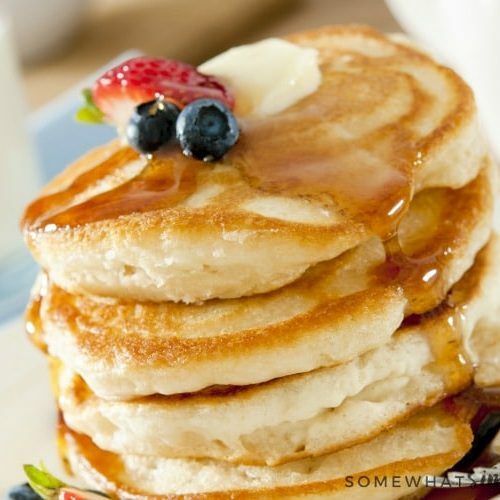 This is seriously my idea of the perfect breakfast, love it! Thanks Billy, I love these too! Love everything about these! Breakfast sandwiches on the go and homemade! Yes! Thanks! I’m so glad to hear you love them as much as I do! 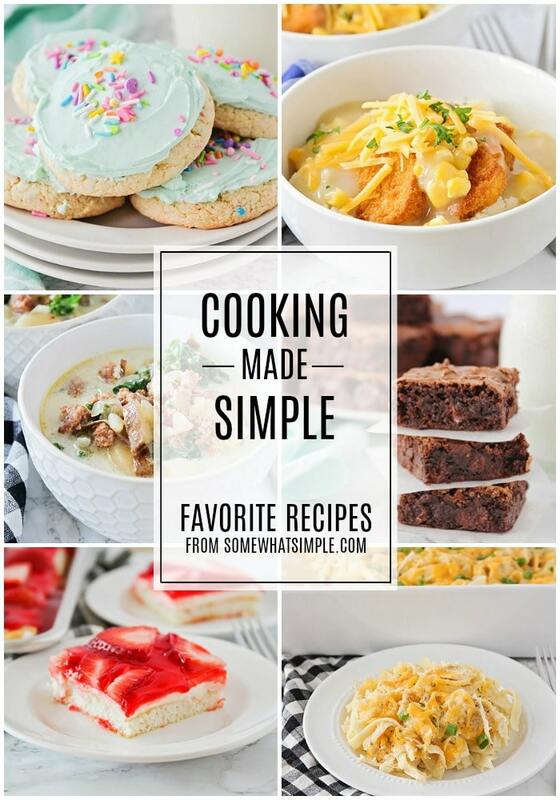 I am all about make ahead meals & these are my favorite! My kids would love these as well!